These days, nearly every company is going beyond standard medical and dental benefits, and investing in the health and well-being of their employees through company-sponsored wellness initiatives. In fact—from free or discounted flu shots to smoking cessation programs—nine in 10 organizations offer at least one wellness initiative. However, improving employee wellness can’t be accomplished with just one or two well-intentioned initiatives. Instead, it requires a more holistic approach. But the pain point for many organizations is finding that holistic solution in one place—as well as understanding the true impact their efforts can have on the workplace. That’s where SAP SuccessFactors—a leading cloud-based HCM Suite—wanted to lend a helping hand. 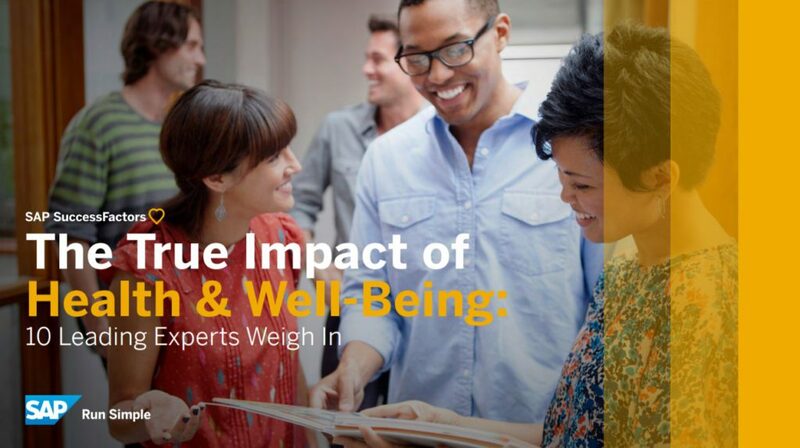 With the goal of raising awareness around their own solution, as well as providing their audience with relevant, useful and actionable insights, TopRank Marketing partnered with SAP SuccessFactors for an influencer-driven content campaign. Just like a holistic wellness solution requires a myriad of interconnected initiatives, so to does a thoughtful and relevant influencer content campaign. To address the known pain points of our audience, we crafted an influencer strategy that would allow us to showcase a range of viewpoints—from brandividuals to internal experts to SAP partners and clients—as well as leverage unique areas expertise and social followings to connect with our target audience. As far as the marketing mix goes, an eBook featuring the thoughts and insights of 10 influencers—including Arianna Huffington, owner and CEO of Thrive Global—served as the anchor asset. When it came to downloads, we saw a whopping 272% increase over SAP’s established benchmark. In addition, the accompanying landing page boasted a 68% conversion rate. Finally, organic social messaging—from the brand and influencers—drove 86% of all views and 69% of all conversions. Ready to Make an Impact with Influencers? We’re ready to help you do just that. Learn more about our influencer marketing services or get in touch with us today.